Mill was also congratulated by the likes of JAY-Z and Rihanna. Meek Mill has officially been released from prison. In celebration, Mill was picked up by 76ers co-owner Michael Rubin and escorted in a helicopter to the Wells Fargo Arena for the Sixers/Heat game. Upon arriving, he told reporters he was feeling great before heading in for a well deserved shower. 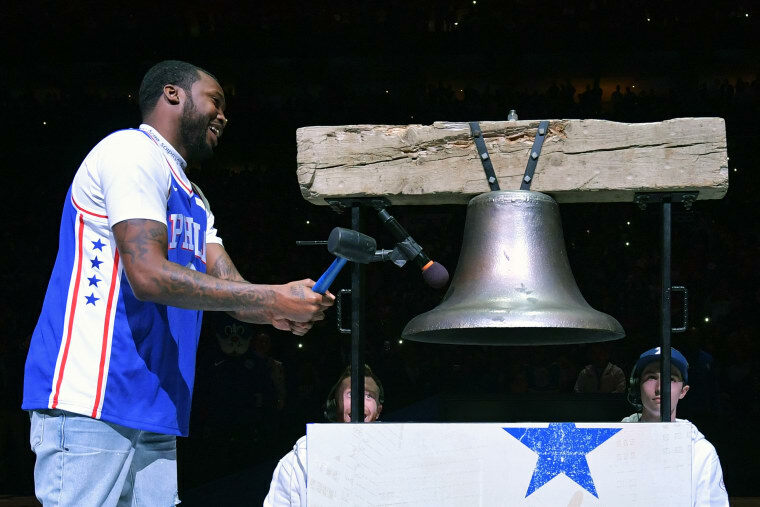 Mill rang the ceremonial bell before the game, which had reportedly been designated for Tinashe before news of Mill's release broke. Check out footage of it below. A number of public figures have congratulated Meek Mill on his release. Cardi B expressed her enthusiasm to TMZ, while Rihanna posted a video to her Instagram. JAY-Z (who Mill thanked earlier today) shared a note to Facebook, saying "Today, Meek Mill, a son of Philadelphia, is a free man. He was incarcerated unjustly and caught in a probation trap for years by a broken system. Now we can celebrate his release. We thank every individual that has supported and fought alongside Meek every step of the way."